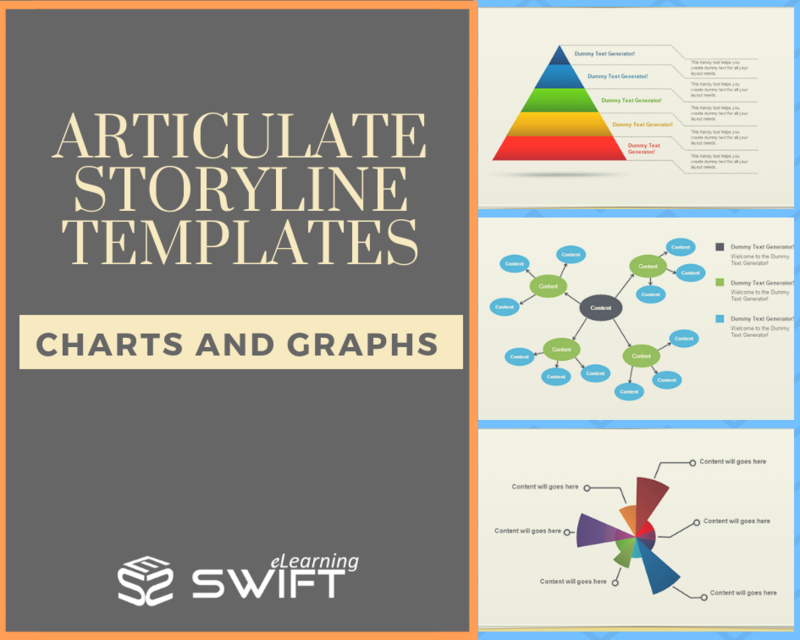 Here is the next set of Articulate Storyline ready-to-use charts and graphic templates to help Rapid eLearning development and Instructional Designers. This e-learning template consisting of an aesthetically colored pie chart is just perfect for providing the learners with a graphical representation of complex data that would otherwise have to be represented in a tabular format. The pie chart is a circular statistical chart, which is divided into slices to illustrate numerical proportions. This allows for summarization of a large set of proportional or percentage data in visual form, making it easier for the learners to comprehend the data. 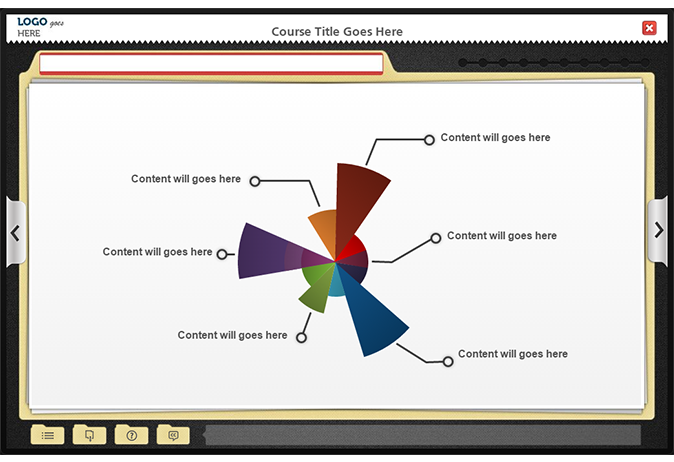 The vibrantly colored slices of the pie make the e-template not only eye-catching, but also make the e-learning experience an enjoyable one. 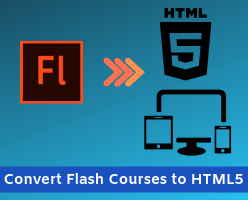 Moreover, since Articulate Storyline templates are compatible with a varied range of devices like tabs, computers, and mobiles, the learners get an opportunity to continue their learning process while on the go. 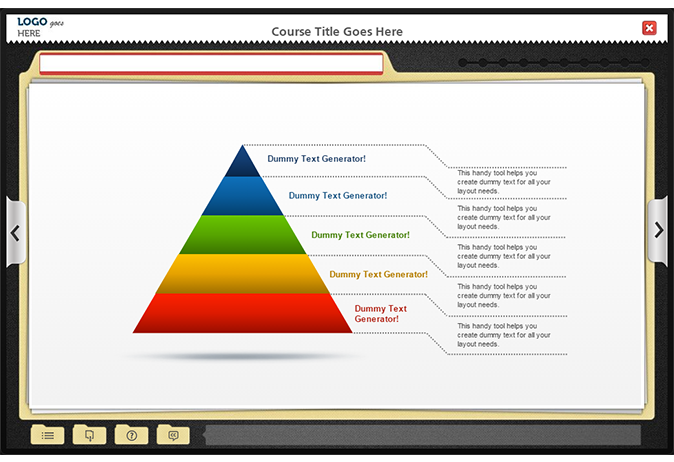 This e-learning template is primarily designed to represent the hierarchical level of related topics. 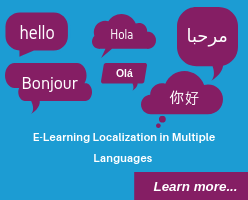 Though the template has a simplistic design, yet the triangular shape of the chart and the vibrantly coloured horizontal divisions can provide for an eye-catching representation of the content making the learning process easy as well as enjoying for the e-learners. 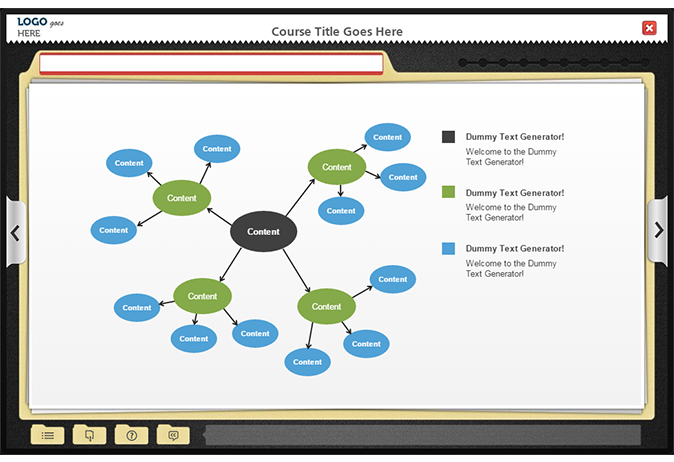 This e-template is best suited to graphically describe the hierarchical pattern in a concept. This way the e-learners get an opportunity to get a clear understanding of a topic and it’s relation to other related topics at a glance. This Storyline template is a perfect medley of graphic and text presentation. This e-template is best suited for presenting the characteristics and sub-characteristics of a concept or the various stages of a process. The screen appears to have a flow chart in the left hand side of the screen with provision for bulleted text placeholder on the right side of the screen. This e-template enables the learners to get a lucid idea about a concept or a sequential process or even a quick summarization of a concept. Hence this is a very effective template to help in the learners learning process. 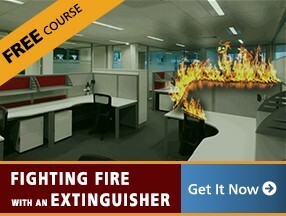 These templates are HTML5 compatible and can be accessed across all devices such as Tablets, iPads and Mobile devices. 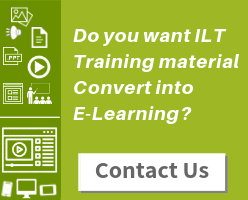 These Ready-to-Use templates help you to develop eLearning courses rapidly. You can use them as provided or customize them as per the requirements.